Dancing Crowd Animated Set -- Camera 1. Dance Stage Virtual set. 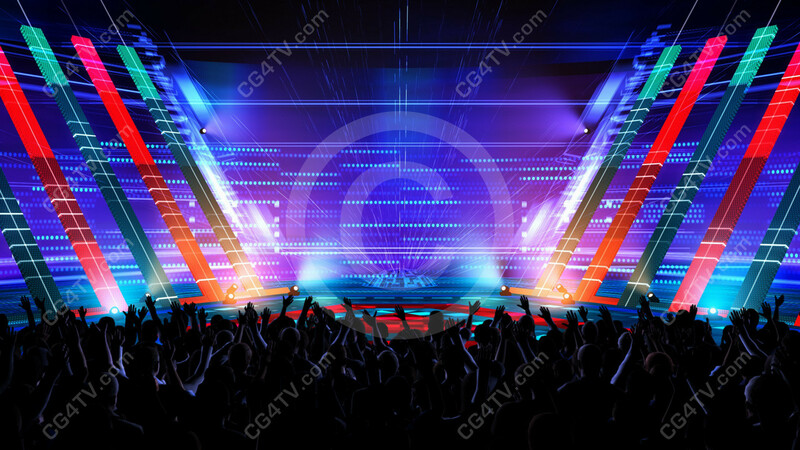 Dancing Crowd Animated Set green screen background is an endless loop available in high definition. Limited Time Offer: Buy more than two camera angles of this background and get 30% OFF the total amount. Find additional viewpoints at the bottom of this page. Use coupon code LC30POFF. EXCLUSIVE product. Dancing Crowd Animated Set Camera 1 is only available from CG4TV.com. We don't have resellers or representatives. This product that can not be purchased elsewhere. Our animated Dance Stage Virtual Set gives you a million dollar look for a fraction of the cost of a comparable live set. Running lights give you a futuristic digital look. ll our high quality stock virtual sets are royalty-free, so you'll enjoy substantial savings over a custom work-up; and we're constantly adding to our stock virtual set collection. You're sure to find just the right virtual set to fit your needs. But if you don't see the one that suites your requirements perfectly, contact us at info@cg4tv.com. We're always open to suggestions about additions to our stock catalog. And we offer discounts to returning customers, so you can save even more. Watch our newsletters for the coupon codes. You can use the stock version of our Dancing Crowd Animated Set or we can customize one for you. 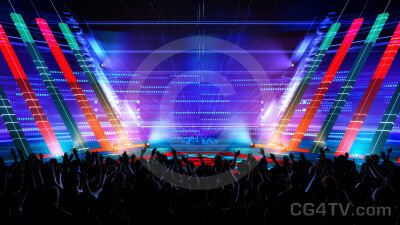 Or we can create an entirely new Dancing Crowd Animated Set to meet your needs. All our high definition virtual sets are compatible with any professional video editing software, PC or Mac. And you can try before you buy. Download a free test now and test your concept. All of the animations, images and virtual sets here at CG4TV.com are available in a variety of sizes and resolutions to suit a broad range of requirements and in .PNG format to provide ample room to pan and zoom when setting up your shot. Remember, the uses for our Dancing Crowd Animated Set are limited only by your imagination. CG4TV.com is your virtual electronic art gallery. Order your Dancing Crowd Animated Set and download it now, with just a few simple clicks of your mouse! Download is immediate. We accept all major credit cards.